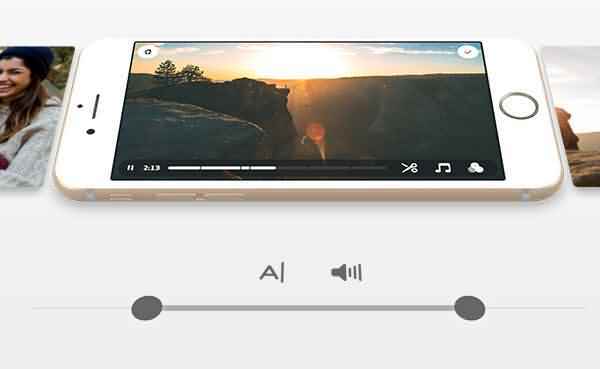 You may have got some high definition videos on your new iPhone 7 Plus. 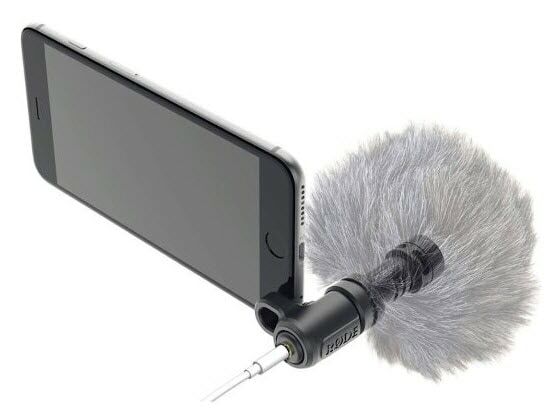 So do you want to edit videos on your iPhone/iPad like a pro? There are a lot of video editing apps for iPhone and you just need to choose the best iPhone video editing apps and start the iPhone video editing journey. Here we list top 10 video apps for iPhone/iPad which allow you to create movies out of your video clips and do all kinds of cool things on your iPhone. Wondershare Filmora is a versatile and easy-to-use video editing program to help you touch up your iPhone video instantly. It features intuitive interface, comprehensive drag-n-drop feature, wide format support, and handy editing tools. With it, you can create stunning home movies in minutes, hassle-free! vlogit is the best iPhone video editor that lets you add effects, templates, your favorites music and more to your videos. 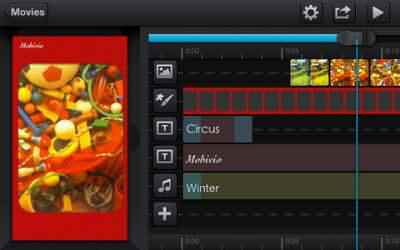 It also lets you turn your photographs (and screenshots) into video clips with music and text. FilmoraGo for iOS is an easy-to-use app to take your normal, everyday videos into artist creations that will look like it cost hundreds of dollars to create. Just choose a video, select an overall theme and design for the video and add the music you like. 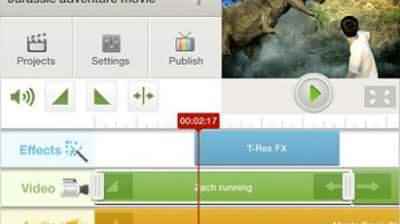 It also provides basic video editing functions like trim, filters and transitions. Another great part is that, it automates your video, allowing you to just pick the best parts that you need and let the app do the rest. 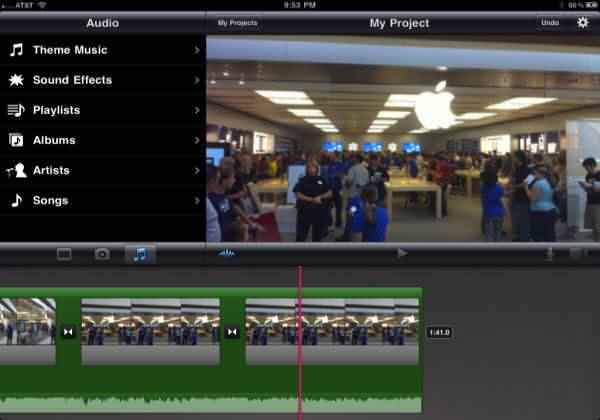 For those who have an iPhone or intend to buy one, iMovie is absolutely the best iPhone video editing app. It helps you turn the various video (including HD videos) you shoot into a gorgeous home movie with movie themes, titles, transitions and sound effects, etc. And you can also shoot a new video clip inside the application for better video editing on iPhone. Cameo is a powerful FREE video editor made by Vimeo. It allows you to easily create beautiful short videos right on your phone! The Cameo video editor lets you combine clips from your Camera Roll to edit, trim and splice in just a few swipes. Add a professional sheen with high quality video filters, themes and the perfect soundtrack that fits your vibe. 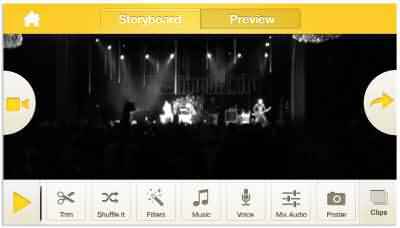 Montaj is a great iPhone video editing app to turn all of your life's recorded moments into a video storyboard, song and filter. One interesting feature is that, you can shake to assign random filters and songs to your footage. It definitely works a look if you want to do some fast, simple editing. If you want rich video editing functions like cropping, snipping and splicing, then Viddy isn't for you. 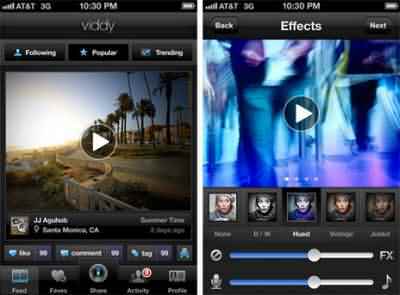 But for adding interesting filters and soundtracks, Viddy can be a good option. With a slick interface, it enables you "beautify" your video in a just few clicks. When the editing is done, you can share your videos with a one-click function to Facebook, Twitter, Tumblr and YouTube. Cute CUT is an interesting iPhone video editing app which allows you to "draw" on your footage. It comes with a common editor as well as drawing tools to customize your footage with effects, texture, shadows and borders. Cinefy features an easy and intuitive interface which lets you choose from more than 100 special effects and animations to add to your video. Downloadable effects packs include titles, overlay effects and sounds are also provided. On top of that, you can insert music directly from iTunes. This iPhone video editing app enables you to pick the most desirable photos on your iPhone and choose your favorite music and songs as the background music to make a photo slideshow in minutes. Very easy and fast, after several clicks, you can then share your music video with your family and friends. 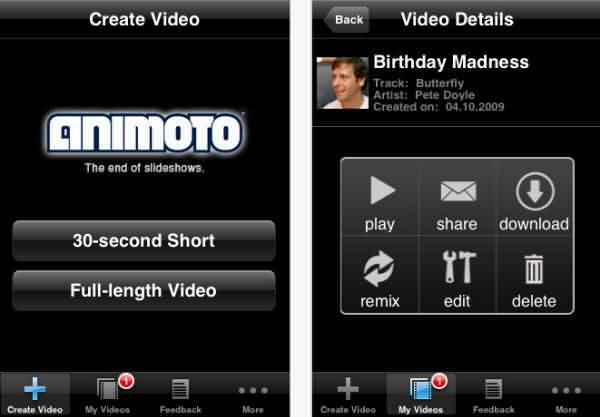 This great video editing app for iPhone takes you back to old times. 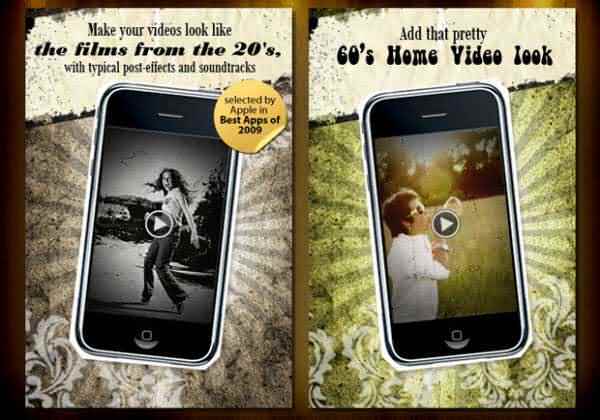 You transform the video into a variety of vintage film styles with many combinations to choose from: black & white, sepia, color, vintage sepia, 20's movie or 60's home video, etc. You can speed up or slow down the videos. And several sound options like Video, Piano 1, Piano 2, Movie Projector, etc. are provided to add more feeling to your movie. ReelDirector is the one which I generally use for video editing because it has a simple user interface with all useful features that a user needs to edit a video. Videos are able to leave long lasting impression on viewers. However, they should be original, creative and inspiring which remain in mind for long time. To become an internet sensation overnight, you need three primary things such as good song, eye catchy video and advance recording equipments. If you ever dream to make a good music video and never get a chance to do it then definitely try such apps on your phone. If you want more alike than explore “Shimmeo” https://itunes.apple.com/us/app/music-video-maker-by-shimmeo/id974747911?mt=8 this app will surely help in making a dream reality. Pick your favorite song and shoot a clip, it will provide you entirely in-sync music videos with just a few tap of button.